Once the holiday season has passed and 2019 kicks off, many clients may be thinking about their resolutions that include health and wellness. Kick off the new year off with some detox treatments! From body wraps to nail services, you can easily incorporate detox services into your business model! Here are some of our best selling and most effective options from our clients around the world! Arosha - Arosha is the world leader in Pre-soaked/infused body wrap bandages. Arosha offers a combination of professional treatments (pre-packaged kits and a la carte bandages) and a home skincare line specifically created for various types of cellulite, localized adiposity issues, poor circulation as well as sagging and dehydrated skin. Detox Herbs - from facials to body wraps, you can customize the treatment to each facial by using raw ingredients to specifically address client concerns! While clients are waiting for their service, why not also offer Organic Detox Tea! Mani/Pedi Fit For A Queen! While we're just at the beginning of March, Mother's Day is quickly approaching. Here is a great menu option to hydrate and tighten skin, while feeling luxurious! For this treatment, you'll be using a soak, scrub, masque and a cream. Add 2 tablespoons Buttermilk Powder (half if using for a mani) to your soaking bowl and have the client soak for about 5 minutes. Mix 2 tablespoons whipped coconut butter with 1 tablespoon ground coffee. Place this in a mud warmer or hot towel cabinet so it is warm when ready to use. Combine 1 tablespoons white clay powder with 4 teaspoons of water and 4 drops grapefruit essential oil. Place this in a mud warmer or hot towel cabinet so it is warm when ready to use. Add 6 drops of sweet orange essential oil to 1 tablespoon of whipped coconut butter. Place this in a mud warmer or hot towel cabinet so it is warm when ready to use. Simple yet luxurious! Your clients will feel pampered and leave with softer skin! This week, I'd like to spotlight Raw Alaska Glacial Mineral Mud. Mud is always in style in this industry, from facials masks to body wraps. As a massage therapist, after a few years in I decided to give offering various mud add-ons a shot. As a mobile therapist at the time, I thought I was nuts for just the thought of mobile mud! I was able to make it work for me, and my client response surprised the heck out of me! All of them wanted to try it. After the trial run, some alternated their massages with mud treatments. Alaska Glacial mud works. Containing more than 60 nourishing major and trace elements to promote healthy skin cell regeneration, you may find clients requesting mud packages. Raw Alaskan Glacial. The name says it all. Straight from the Copper River Delta in Alaska, enriched with a special combination of certified organic and wildcrafted botanical extracts from the Pacific Northwest that are chosen for their moisturizing, skin-softening, and anti-aging and immunoprotective properties. Natural as natural gets. 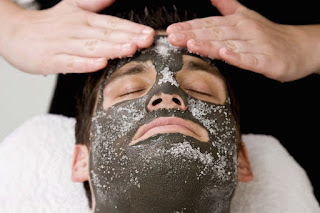 Are your clients hesitant on mud treatments due to that lovely, mud smell? You can choose vanilla lavender and lavender peppermint. The slight tingle from the peppermint feels amazing, in my opinion! Available in back bar sizes in both premixed and powder, as well as a beautiful line of retail items. If you're not ready to jump into the mud just yet, retailing is a great way to talk to your clients and gauge their response to mud. See you next Friday for another product of the week! One of my favorite things is discussing with clients their menu options (you didn't think we're just order takers, right? We live for this industry!) and bringing new treatments in. Over the years, many clients have held back from offering treatments that involve mud or water, if they don't have a wet table and vichy shower (want to bring those in? click here to check out financing!) for mess concerns. While the Lotus Touch Seaweed Gel Wrap is a phenomenal option (seriously, check out this post for why it's a #1 choice for many small businesses looking for big profit with no mess), for clients looking to expand into things like muds, there's another solution! The Waterproof Spa Treatment Sheet Set is just the thing needed to crush it this season with body wraps! It not only keeps moisture out, it's also machine washable! The set includes a fitted sheet and face cradle cover, and did I mention it's under $20? For less than $20 you can transform your treatment table into a body wrap sanctuary! Raw Alaska Glacial Mineral Mud - this is my all time favorite mud. The quality is unparalleled, you can choose from powder or pre-mixed, and there are retail items to boost sales even more. It also happens to be the most mineral rich mud on the market. Want to know more? Click here for more on how and why you should consider this line. Moor Mud - this was my favorite mud before I tried the Alaska mud. While the options don't include lavender or peppermint like the Alaska mud, take a look at this as well! Sedona Mud - this is a red mud that one of our 5 star resort clients has on hand at all times. The one they prefer is this one by Spa Pantry, their clients love the scent! Take a look at all of the different body wrap options here, after adding the waterproof treatment table to your cart! Not sure what else you need to get started now that you've got a waterproof table? Give us a call or shoot me an email (christine@purespadirect.com) and I'd be happy to help! Are your clients crazy about organic treatments? Looking for a new product to retail? Look no further, try Alaska Glacial Facial Purifying Mineral Mud Masque - Relaxing Vanilla & Lavender. Exfoliates, detoxifies, softens and nourishes skin. Formulated for the face, suitable for the hands, body and feet. Gentle and balanced for all skin types. Laboratory-tested, allergy-free, does not cause irritation. ile more than 60 nourishing major and trace elements promote healthy skin cell regeneration. Gentle and balanced for all skin types. Human-tested, allergy-free, does not cause irritation. Wild & certified organic ingredients. No synthetic fragrances, colors or fillers. No propylene glycol, no phthalates and paraben-free. No animal by-products or testing. Sustainably hand-carved glacial mud. 10% profits donated to wilderness preservation, habitat restoration, environmental defense and education in the Copper River Watershed. For all skin types. Apply an even layer of mud with facial brush or fingers. Allow 15 minutes to dry. Rinse with warm wash cloth and water. Use once per week for normal-dry skin and up to 4 times per week for oily skin. CAUTION: We recommend patch testing. In the unlikely event of a negative reaction, discontinue use, for external use only. Avoid contact with eyes. Wow the clients by using Alaska Glacial Mud Mask during their treatment. Then wow them a second time by letting them know they can buy the mask! Who wouldn't want an at home spa treatment?? Say Goodbye To Dry Winter Skin Before Spring! It's the perfect time of the year to start planning, and preparing your Spring menu. Here is a great exfoliating and hydrating "recipe" to get your creative juices flowing! You will be using two different mud mixtures to swirl on the clients skin! In a large rubber mixing bowl, combine 1/2 cup Sedona Mud, 1 tablespoon whipped shea butter, 1 drop ginger essential oil and 1/2 tablespoon of honey powder, and mix well. In another larger rubber mixing bowl, mix 1/2 cup Moor Mud, 1 tablespoon whipped shea butter and 1 drop ginger essential oil, and mix well. Place both bowls in a mud warmer, large stainless steel bowl filled with hot water, or a hot towel cabinet so the mixtures will be warm when applied. Remove the bowls from the warmer - mud should be around 110-120 degrees. Using a body mask brush, apply the sedona mud mixture in a swirl pattern on the back, back of the arms and legs. Apply the moor mud mixture in a swirl pattern in the spaces between the sedona mud stripes. Have the client flip over, and repeat the process until the entire body is covered with the mud stripes. Wrap the client in plastic wrap and a thermal blanket, and allow them to relax for 15-20 minutes. Now is a great time for an add on service like a scalp massage or Eco-Fin! Remove the blanket, open the plastic sheet, and sprinkle the stomach with 1/4 teaspoon of ground pumice. Using about 1-2 tablespoons of coconut oil, gently massage the stomach and mud streaked arms/legs one at a time. Have the client flip over again, and repeat the pumice and coconut oil massage. If you have a vichy shower, drench the client with warm water for 10 minutes. Have them turn over one more time and repeat the shower process. If you do not have a vichy shower, have them shower or use warm moist towels to remove the mud. Be sure to retail sunscreen such as Burnout to your clients to help protect their glowing, hydrated skin! With the New Year ahead, now is the time to upgrade your old spa menu with new treatments! What better way to do so than with a Detoxifying Treatment? I'm sure many of your clients (if not all!) are focused on slimming down for the new year, and detoxifying those holiday treats and old habits from last year. If you're not familiar with Parafango Body Treatments, we have all the supplies to get you started! This amazing treatment is a very calming, relaxing spa service, resulting in several benefits which include inch loss, skin rejuvenation, and even cellulite reduction. The parafango itself is a mixture of wax and mineral mud which is applied to your clients. They are then wrapped tightly in cellophane and escorted to a hot rock sauna, to enhance the geothermal effect of their body temperature. The benefits for your clients? Check them out below! Need help getting started? Why not try out our Anesi Parafango Kit? It has everything you need to perform this service. Help ring in the new year for your clients with this amazing, detoxifying treatment! Mud - Making The World A Better Place One Person At A Time! Pretty drastic statement there, right?!? It's the truth, in a way :) When we look our best, we feel our best which in turn tends to make us happier people. Happy people make the world a better place - here's where the mud comes in! I'm sure you've noticed over the last few years, the natural movement is still growing. Clients are concerned about ingredients and the chemicals going in or on their bodies. Alaska Glacial Mineral Mud is a 100% natural mud that happens to be the most mineral rich mud on the market today! You can use the Alaska Glacial Mineral Mud in facials, body wraps and even nail services! 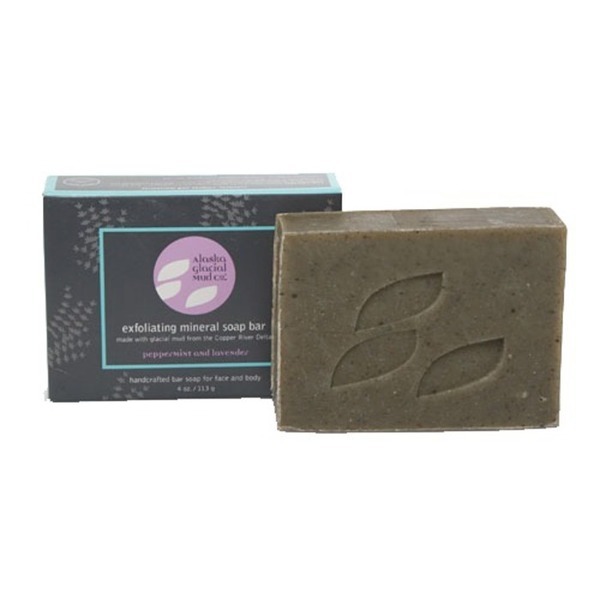 It is great for exfoliating and detoxifying the skin - it's gentle enough where it does not dry out the skin either! This is is especially important for clients with sensitive skin! The lavender peppermint blends have been flying out of the warehouse this month! It smells wonderful and the peppermint adds the slightest tingling feeling that is amazing! As an added bonus, they make retail sized muds and soaps that are also great for gifts, packages and giveaways! Goodbye Dull Dry Skin, Hello Beach Ready Glow! Everyone is rushing to their spas/wellness centers to get rid of their dull, dry winter skin. The rush on hydrating and brightening products are in full swing! Here is an awesome menu idea to freshen up your Spring body treatments! This body wrap will help smooth, exfoliate and hydrate the skin while the relaxing their cares away! You may wish to prepare this before the client comes in to maximize time. Combine 4T of Sedona Mud Powder, 1T of Egg White Powder and 2t of Clove Powder in a large rubber mixing bowl. Add in 6T of water and stir until a paste like consistency. Add in 15 drops of Sweet Orange Pure Essential Oil (if you have a client who does not like orange scents or for male clients, try using 5-10 drops spearmint or 5-7 drops cedarwood essential oil instead). Mix in 3T of Organic Corn Meal and mix well (the cornmeal may soak up the liquid once it sits, you can add more water if it is too dry. If the mix becomes to wet, you can add in more of the Sedona Mud Powder). Place the bowl in a mud warmer, hot towel cabinet or even in a stainless steel bowl filled with hot water to warm the mixture is warm and feels luxurious when applied. Dry brushing the client prior to the body wrap is an excellent way to start if you don't already begin that way. Once you have prepped as you normally do for wraps, check the temperature of the warmed mixture to be sure it is at a comfortable temperature before applying. 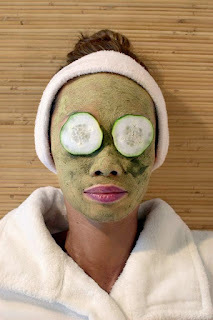 Apply the mask as usual, being sure to pay extra attention to extra dry areas, especially feet, heels,knees and elbows. Once the mask has been applied, wrap the client in plastic sheeting followed by a thermal blanket. Leave on for approximately 15-20 minutes ---now is a great time for add on services like scalp massage! Remove the mask as you normally do and follow with the moisturizer! Mud, Mud and Moor Mud - Part 2!! So next up in our Mud Series is the namesake of this blog - Hungarian Moor Wellness Mud. This particular mud has a plethora of features that separate it from the rest of the pack including the fact it is one of the oldest spa treatments ever recorded and has been used in European spas since the 1800s. Here is a little back history on the Hungarian Moor Mud: Praised and worshiped for its detoxifying effects for over 2000 years(! ), Moor mud is actually Peat Moss from the bogs of Eastern Europe. Unlike other muds that are largely comprised of clay and sand, Moor mud is almost entirely made of residual herbs, flowers and grasses from 10,000 years ago. Rather than decaying, those organic products worked together to create a super-powered paste chock-filled with humic acids, fulvic acids, minerals, trace elements, vitamins, amino acids, plant hormones and fatty acids. Science lessons are fun and all, but what does this mean for you and your clients? By implementing Moor Mud into your services, you can offer you clients one of the oldest, yet most advanced treatments to help with cellulite, anti-aging, anti-inflammation, detoxification and muscular relaxation. 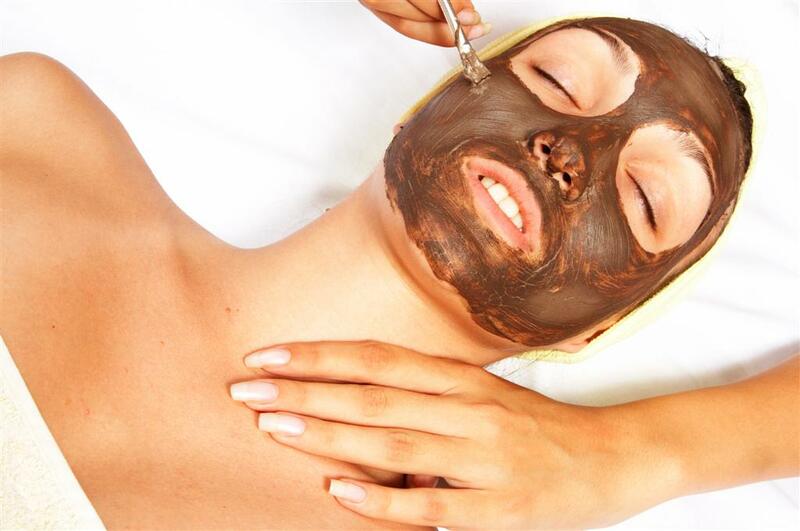 Due to its composition, Moor Mud can be used not only as a wrap treatment but also in hydrotherapy baths. Because it contains the least amount of clay in comparison to all other mud treatments, you do not have to worry about Moor mud clogging your drains because it dissolves completely. 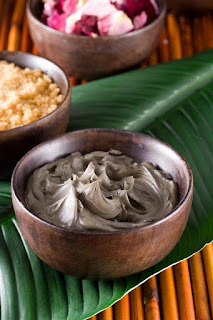 Add Hungarian Wellness Moor Mud to your treatment menu today! *Insider Tip* Since Moor Mud is not the nicest smelling product you can put on your clients, I recommend adding a few drops of essential oil to make the experience more pleasant. Since Moor Mud is earthy by nature, I recommend using an earthy/woodsy essential oil as well, such as Pine Essential Oil or Frankincense Essential Oil. So mud... its just dirt and water, right? Wrong! Some of the most intensive and effective treatments that you can offer include mud as THE main ingredient. In addition, treatments can vary based upon where a type of mud originates. To help you navigate the murky waters, so to speak, of the various kinds of muds Pure Spa Direct has available, we will be doing a weekly segment explaining the origin and benefits of a specific kind of mud. The first type of mud up for discussion is Sedona Mud. Farmed from the Southwest United States, this mud is extremely rich in minerals such as Iron, Calcium, Magnesium and Potassium. The iron works to open the pores and draw out toxins all the while also softening the skin at the same time. A Sedona Mud Wrap is an excellent detox treatment, especially for those clients who are plagued dry skin. Repeated treatments can lead to softer, healthier and more vibrant skin. My favorite of all the Sedona Mud options is the SPA PANTRY Sedona Mud Blend. Coming in either a 4 ounce size or a 1 gallon container, it arrives completely mixed and ready to be applied to your clients. Simply paint it on with a body brush and allow it to dry. To prolong the treatment, thus making it more effective, spray a fine mist of water onto your clients' skin about 15-20 after original application. After about 30-40 minutes total, rinse your client off in a shower or with warm towels. *INSIDER TIP* To customize the treatment, add your own blend of essential oils to the mud mixture. Between the lovely scent and your signature effort, it will surely be a treatment your client whill not soon forget. CLICK HERE to see the Sedona Muds. CLICK HERE to see Body Brushes. CLICK HERE to see Essential Oils.